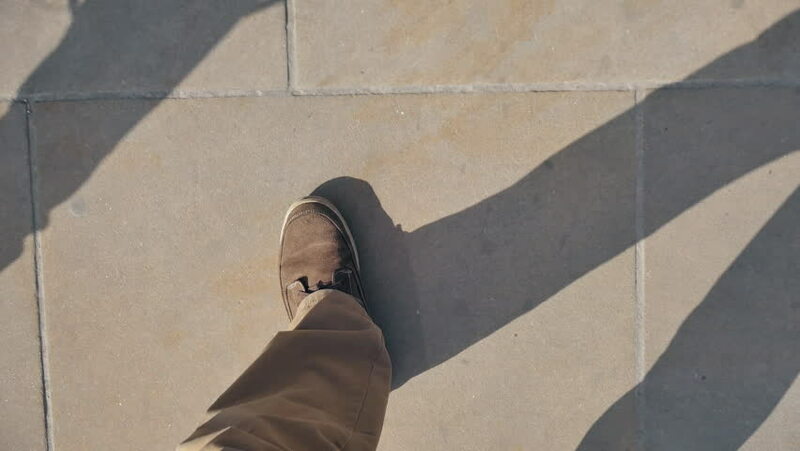 The view of a man's feet walking on the sidewalk. hd00:11Ottawa, Canada - March 2015 - BMX riders wearing a unique GoPro mount ride the city's brand new "Epic Indoor bike park" on it's opening day. hd00:17Closeup of hand worker painting with blue paint . hd00:14Unstad, Norway - 07 19 2018: Unstad, Norway - July 19, 2018: A woman at the beach in Unstad, known for the rocky shore. 4k00:18Close up of lined-up female dancing feet on stage.